If you live in the California Bay Area, you may want to join me next Saturday from 2 to 5pm for my monthly math salon. I have games like Rush Hour, Quarto, Set, Blink, and Blokus; puzzles like tangrams and pentominoes; math toys like Polydrons and Perplexus; and resources that parents like to look at. Typically, kids and parents play with a game or puzzle until everyone has arrived, and then we come together to try out the activity of the month. This month I'll be telling a story (a take-off on the Greek story of Icarus) to go with a game that I've used with kids before. Kids love playing with it, and get lots of arithmetic practice thrown in for good measure. This game is part of an open problem in mathematics. I'll also be bringing in a few other puzzles related to unsolved problems in math. Email me at suevanhattum on the warmer mail system* if you're interested. *My attempt at foiling the spambots. My take on any sociological research, which includes education research, is that there are too many variables involved to do really good research. What happens is that many researchers frame a question in a way that is bound to bias the results toward a conclusion they already favor. But still, I'd like to be able to explain a result like this one. I know from experience that teaching from one of the 'reform' (back when reform meant something else) calculus texts would have been very hard without getting trained. I was trying to find ways to change my teaching, and would have worked from the project-based 'reform' texts, but couldn't see how to do it. It became clear to me that you couldn't change the way math is taught by providing a good textbook. The way classrooms 'should' work has been imprinted on us through 16+ years of sitting in classrooms as students. It's pretty hard to do something different, and then to do that different thing well. So I do agree with their conclusion that newer teaching methods need to be implemented in 'the proper way', which involves lots of work retraining ourselves. Jo Boaler has done lots of research on math education. I'd like to know what her take on this study is. *EdNext is part of the Hoover Institution, which is a conservative think tank. A while back John Golden wrote about a game he made up called Decimal Point Pickle. Something about pickles seems to attract math folks. Gordon Hamilton has created a web site called Math Pickle, on which he's posted a slew of wonderful videos of his work with kids, playing with math. The second open problem he showed us was first posed in 1916 by Issai Schur. Here's his video of kids working on it. There was lots more - check out the recording. And check out his site! My favorite candy come in packages of 5 or 6. What's the largest number for which I cannot buy exactly that many candies? Can this be generalized? I got a result yesterday. I liked its symmetry but couldn't figure out why it worked. I think I have the why down now, but I'm not sure I could explain it well yet. I thought you and your kids might enjoy playing with it. Each summer Bob and Ellen Kaplan get together with Amanda Serenevy and a few dozen other kindred souls, and play with math. This year will be the 4th annual Institute. It's held at Notre Dame where the food is pretty amazing. (Well, it's not up to local, sustainable, organic standards, but it's quite yummy.) If you go, your days there will be full of math and camaraderie. We will hold our fourth Math Circle Summer Teacher Training Institute on the Campus of Notre Dame, in South Bend Indiana, from July 10th to 16th, 2011. Demonstrations of our approach, practice sessions in running Math Circles, discussions of theory and practice, and conversations about selected math topics will be hosted by Bob and Ellen Kaplan, Leo Goldmakher, and Amanda Serenevy. Participants will work with children in 1st through 12th grades each afternoon to try out their own Math Circle ideas. Tuition is $800 for the week, room and board included. Go! You'll be happy you did. Marcus du Sautoy's TED talk on symmetry makes me want to study more math. I mentioned Escher in my recent post on tesselation. Here's a cool article on the math behind Escher's 'Print Gallery'. This free book looks good: Expanding the Science and Technology Learning Experiences of Children, by David Moursund. Video of Uri Treisman, on the problem of remedial math courses. Not exactly codes and ciphers. A recording and a question: Could this be a message from aliens, or is it a fake? How can we tell? It's way too short for me to have any ideas. Rediscovering Mathematics: You Do the Math, by Shai Simonson is a great book. It starts with his piece on How to Read Mathematics, which I love, and wends its way through lots of mathematical problems, and lots of ideas about how to teach and learn math. When my review copy arrived yesterday I was disappointed to see the hard cover. I suspected that would mean a higher price than most people would find comfortable. The damage is even worse than I expected - $65 (or $53 for MAA members). I think it's a shame to limit the distribution of such good material with a cover price like that. [I had considered approaching the MAA about publishing my book, but perhaps they don't know how to produce books at affordable prices.] Note added five years later: Now it's available used for just over $30. Much better! The only other objection I have to this lovely book is that solutions immediately follow the problems posed, so it's hard to resist the temptation to peek. I just now managed to resist temptation, and sat with the problem below (from page 175) until I got it. I don't teach geometry, so my geometric intuitions aren't well-honed. It took me a while, and I reverted to algebraic reasoning for parts of it. Given the square ABCD, with side length 1 and circular arcs centered at each vertex, find the area of the region at the center - without using calculus. Simonson includes a number of problems I haven't seen before, which is quite a feat after all the grazing I've done online in the past few years. And the problems are at lots of levels, so there is much to chew on whatever your mathematical sophistication. Every mathematical idea has a story. To remember the idea, just recall the story. In mathematics, the stories are proofs and the endings are theorems. The more you turn a proof into a story, the easier it is to remember the ending. Can you tell me what you did last summer? Of course you can. Did you memorize that? Surely not; there is a context and one thought leads to another. Of course it can get a little tedious recalling a story a hundred times just to get to the ending, so sooner or later one just knows the ending. 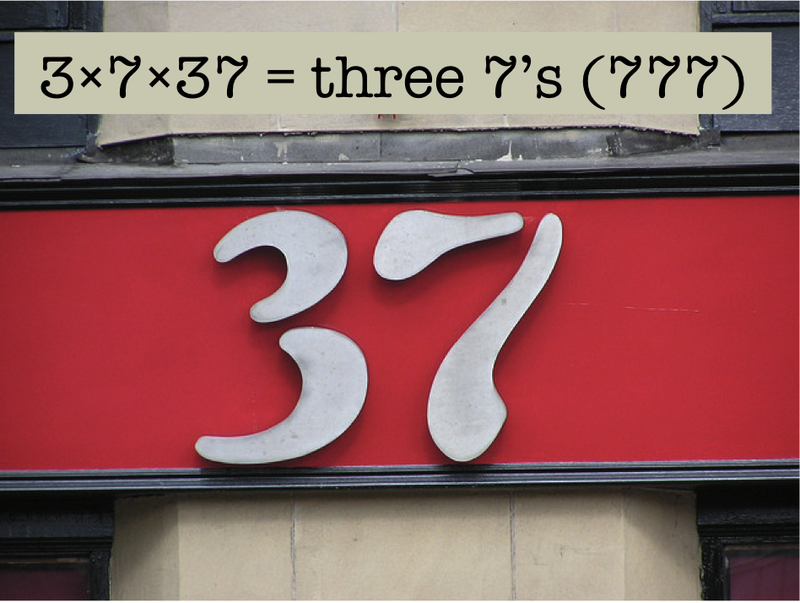 This is the kind of memorizing that a student should do with mathematics. An example of this comes earlier. On page 131 he writes, "In the 1960's, it was popular in the U.S. for the middle school math curriculum to include a square root algorithm. The logic of the algorithm ... is clever but cumbersome, unintuitive, and inaccessible to students and most teachers." He compares this method to a Babylonian method: To find the square root of x, guess (r1), divide x by your guess (x/r1), for a better estimate average your guess with this quotient (r2=(r1+x/r1)/2), repeat. Simple, elegant, transparent. I didn't learn an algorithm for finding the square root in my U.S. math classes, but I did learn one during my junior year, while attending high school in Brazil (as an exchange student). I've wished I could remember how it worked, but never could dredge it up. I don't think it was anything this straightforward. I'll be sharing quite a few nuggets from this book with my students. If you can afford it, I highly recommend getting this book. A: Because 7 ate 9! But that's not really an April Fool's joke. Anyone have any good ones I can 'share' with him?